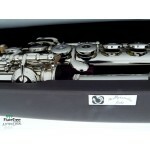 Flute Masters Japan are a small, boutique company that handcrafts custom, boutique flutes to the highest level. World renowned craftsmen Yoichi Nijima crafts fine handmade flutes in the Louis Lot style, with seamed tube and many innovative design features. 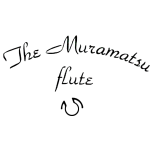 This particular flute is their Master Made handmade silver flute, complete with seamed tube & soldered sterling silver tone holes.